Hull’s year as UK City of Culture has been voted Best Arts Project in the National Lottery awards. 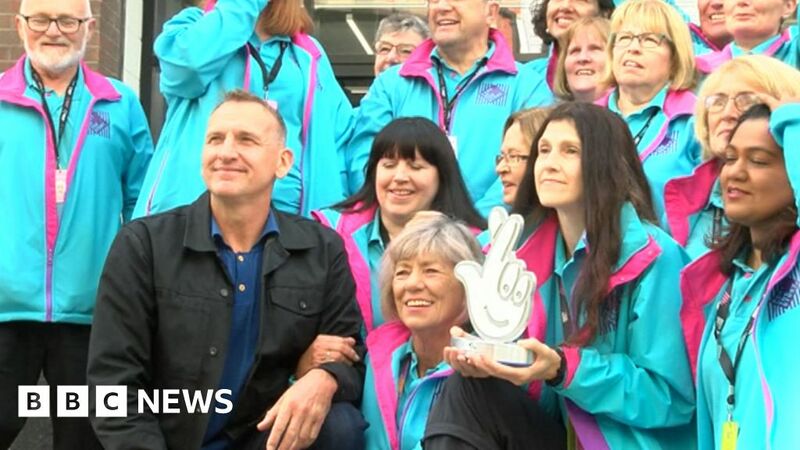 Former Doctor Who actor Christopher Ecclestone broke the news to the team behind the city’s year-long series of events and to “blue coat” volunteers on Wednesday. Hull City Council previously said more than £1bn of investment had flowed into the city. Mr Ecclestone said the City of Culture had been “an overwhelming success”. The National Lottery said the city’s programme attracted 5.3m people to more than 2,800 events, cultural activities, installations and exhibitions. The programme began with Made in Hull, which saw light installations added to many of the city’s best known buildings, and ended with the Turner Prize being awarded in the city. Mr Ecclestone, who has spoken about the importance of northern England in the arts, talked to some of those behind the year-long cultural festival, which had £10m of National Lottery funding. He said the year had put Hull in the national spotlight. “It set the bar as high as it could go,” he said.